Disclaimer: This is not an endorsement for Bernie Sanders. It is merely an attempt to show there are multiple ways to approach a pro-life stance without banning abortion. The American tradition of trying to pick our next president well over a year before the election is in full swing. Still months away from a primary candidates are already coming out of the woodwork and, true to form, appealing to the most extreme in their respective groups (or in the case of Donald Trump, the most extreme are running for president). He’s very pro-choice while I’m very pro-life. And when it comes to matters of life it’s not exactly a small issue. While I’m not a one-issue voter, voting on life is more important than taxes or even income inequality. And we can’t hide behind the excuse that since Roe v. Wade will most likely never be overturned, it doesn’t matter who we elect; the president can hand out executive orders concerning abortion. A pro-life president can make abortion restrictive while a pro-choice president can loosen restrictions. So it does matter. 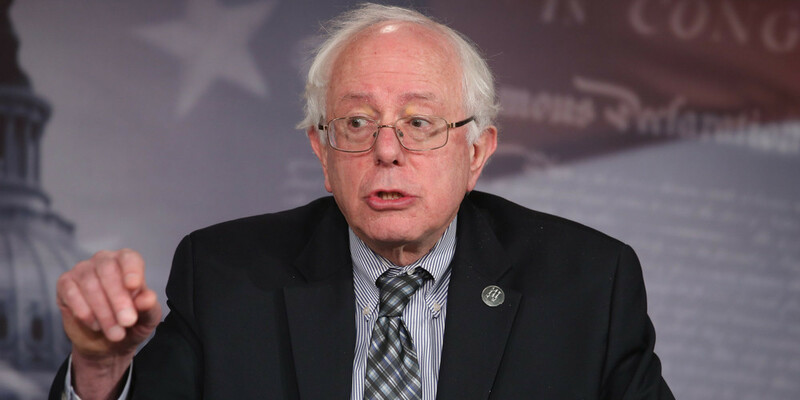 How, then, can someone who is pro-life such as myself (rabidly so I might add), support Bernie Sanders without any sense of cognitive dissonance? Not so long ago I wrote about how because I’m pro-life, I can’t be a conservative. Before that, about three years ago, I even said that Republicans aren’t actually pro-life. The reason I’ve made such arguments is that I find it absolutely absurd to make the claim to be “pro-life,” but then do nothing to support life outside of the womb. After all, overturning Roe v. Wade is a pipe dream and even if it occurred, even if we could wave a magic wand and overturn that case and make abortion illegal, abortions would continue. The reason they would continue is because the conditions that make abortion so prevalent in the US would still exist. Hence my support for Bernie Sanders: I see his policies as a way to actually reduce the number of abortions. While the abortion rate in the US has declined on and off since 2000, it’s actually increased for poor women. According to the same study, nearly 69% of abortions in the US come from economically disadvantaged women. This means women who can’t afford to take time off work, typically have substandard healthcare, have little to no paid vacation, work 40+ hours a week, and live paycheck to paycheck (or overdraft to overdraft) just to pay for themselves. Adding a child to the mix is a near impossibility. In terms of actual poverty, another study shows that 42% of women who obtain abortions live at or below the poverty line (economically disadvantaged doesn’t always meet the federal definition of poverty). According to the same study, 33% of women who had abortions lacked health insurance with another 31% using Medicaid. Only 30% of the women who had an abortion had health insurance (though the quality isn’t measured).